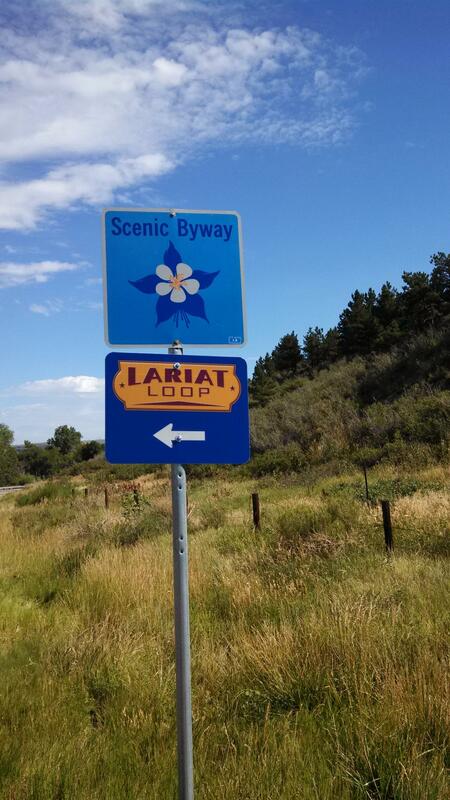 The Lariat Loop National Scenic Byway is a 40-mile looped roadway connecting the historic towns of Evergreen, Morrison and Golden. There is no designated starting or ending point, but common routes often start in Golden and end in Morrison. Golden was Colorado's first capitol city, in 1862. Golden was named for an early prospector who founded the town, Thomas Golden. Golden searched for gold along the banks and gulches of Clear Creek, which flows east from the high Rockies towards the South Platte River. Golden is the home of the original Coors Brewery, now part of the MillerCoors company, where visitors can take a free tour and sample the beers. Golden is also the home of the Colorado School of Mines, a prestigious engineering college and the National Renewable Energy Laboratory (NREL). Golden is accessible by light rail, Interstate 70, and US Highways 6 and 93. While Colorado’s 14ers lie to the west, Golden is home to the American Mountaineering Center, just a few blocks from some of the best hiking trails in the foothills of the Rockies. While in Golden, wannabe geologists may want to visit the School of Mines Geology museum. Its collection of minerals is among the finest in the world, including a rare moon rock. Admission is always free at the Geology museum. Located just west of Golden are Mount Zion and Lookout Mountain, these are two gems on the Lariat Loop byway. Lookout Mountain is the final resting place for Buffalo Bill Cody, perhaps the most famous American of the West. Cody was a Pony Express rider, buffalo hunter for the railroad, scout, and international star of his Wild West Show, which toured the United States and Europe. You can also visit the Lookout Nature Center, the Boettcher Mansion and the Mother Cabrini Shrine during your ventures. The Shrine honors the Italian nun sent to the United States by the Pope to work with immigrant families and orphans. She started a religious order, organized an orphanage and summer camp for Denver immigrant children, and was sanctified for her work. Don’t miss the "Sculpture House" featured in the Woody Allen film, Sleeper, from the 1970's. This uniquely styled privately owned home continues to be a signature property on the mountain backdrop. 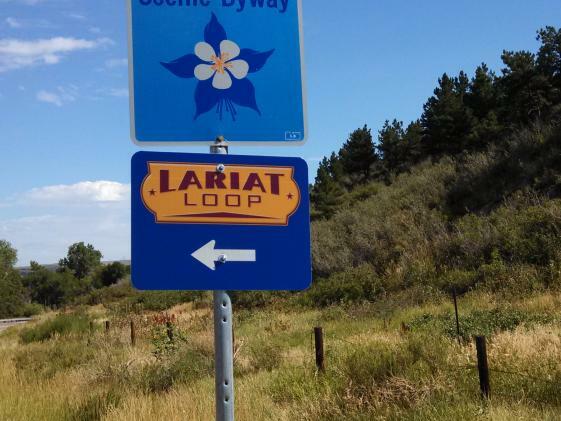 Begin and end your trip along the Lariat Loop and travel back in time and enjoy amazing vistas of the Rocky Mountains and Great Plains.